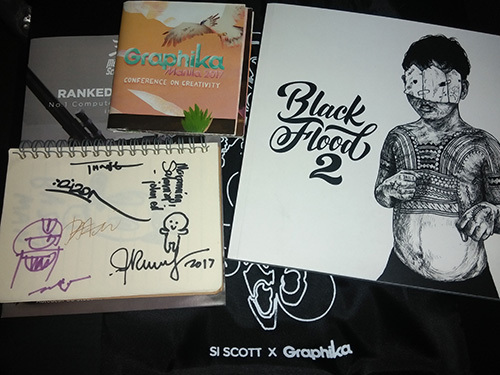 Freebies from Graphika Manila 2017 event. N was able to get autographs from speakers including one (the one with violet ink) from Saving Sally director Avid Liongoren. This entry was posted in Events and tagged event freebies, Graphika Manila 2017 on February 2, 2017 by Yami.